It’s been interesting seeing a more cooperative and friendly side of Microsoft coming out as of late, with bigger efforts being made round table to encourage interoperability with competitor’s software. Evidently part of their new open arms philosophy has taken on the form of a new Android launcher called Arrow Launcher. Arrow Launcher takes a completely new approach to the Android user interface/UI experience by taking full advantage of the home screen pages to provide quick and easy access to many frequently used functions. Thankfully Microsoft has avoided defaulting to their own Android software, so the launcher can be used with a variety of applications in the same manner no matter what your preferences in software may be. Another interesting addition to the Arrow Launcher UI is the transformation of the app drawer button into a toolbox drawer, with access to frequently used features such as the flashlight, plane mode, and wifi. The default Arrow Launcher interface is crisp, responsive, smooth, and modern. Some customization is allowed via changing the wallpaper and icons; a cute addition to the customization options is the ability to download Bing’s featured wallpaper daily to use for your home screen. 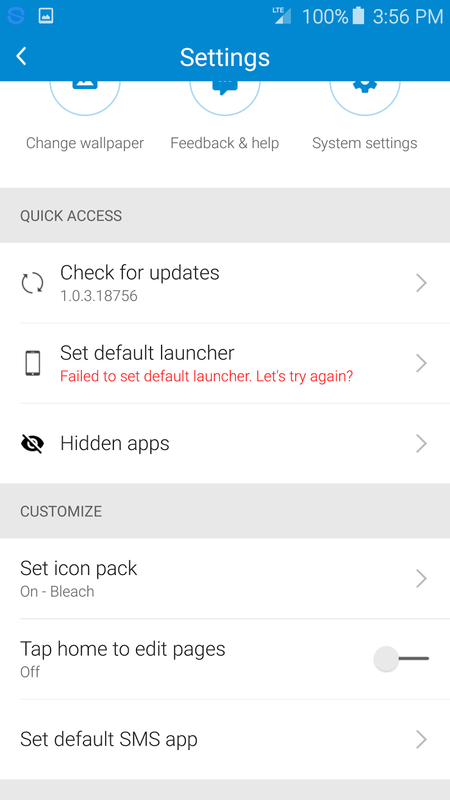 However, this is not an ideal launcher for customization enthusiasts; the customization options are very limited to just the basics, with the only real advanced feature being the ability to change icons. Samsung Galaxy users may find though that Arrow Launcher makes the perfect compliment to the default S5 and S6 theming application, the only launcher allowing them to sync up their launcher theme with the theming of the rest of the system’s user interface/UI. In fact, I suspect that Microsoft may have been targeting Samsung Galaxy users a little bit here with this launcher, considering how seamlessly it integrates with the rest of the Samsung Galaxy’s customized Android interface. What really makes Arrow Launcher stand out from the Android launcher lineup is its reworking of the way the user interface/UI functions, making redundant tasks quicker and easier to access. This is perhaps the best reimagined Android launcher UI I’ve seen since I found Smart Launcher. It’s definitely one to consider for anyone looking for a new UI functionality experience or for something different from the default Samsung Galaxy S5 or S6 launchers. 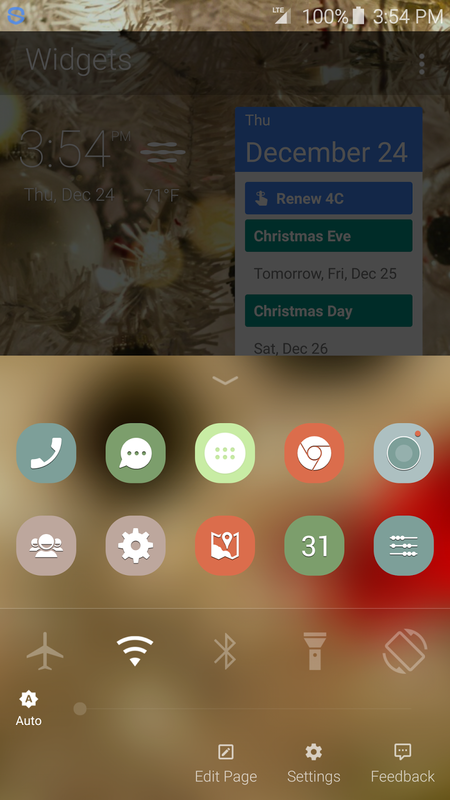 I have to take some points off for the lack of customization features, but overall Arrow Launcher is smart, beautiful, functional, and lightweight. I give it a solid 8/10 for its innovative, smooth UI experience and stable code. 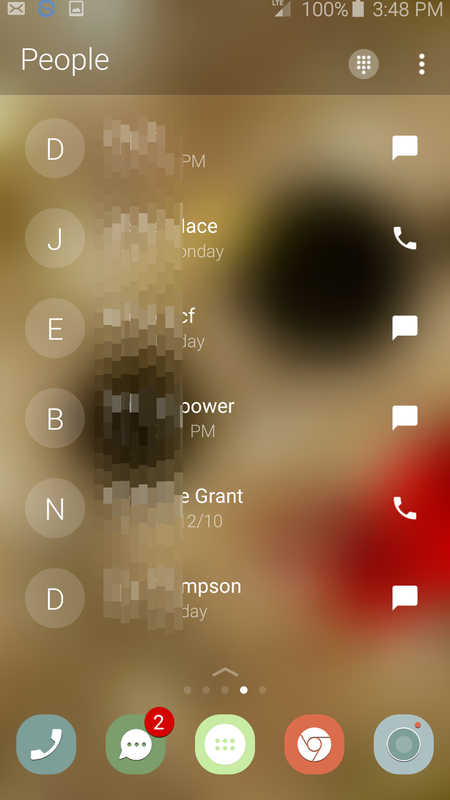 The People page in Arrow Launcher shows all your recent phone calls and texts. 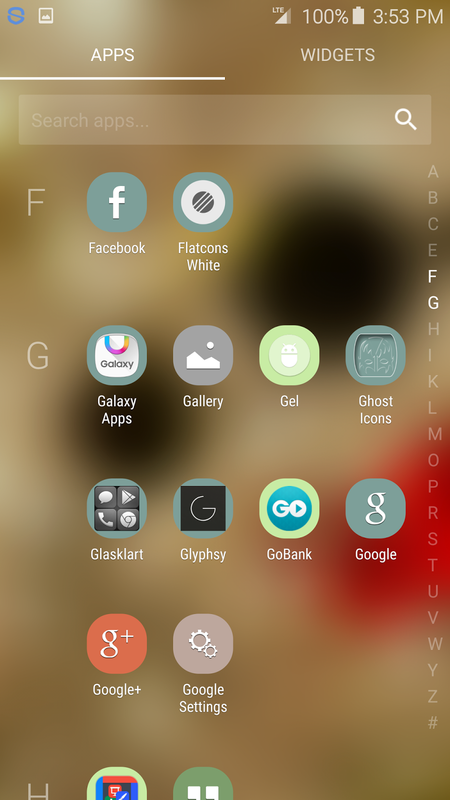 The default app drawer in Arrow Launcher looks surprisingly similar to the default Samsung Galaxy S5/S6 app drawers. The app drawer button does double duty as a toolbox for frequently accessed Android features in Arrow Launcher. 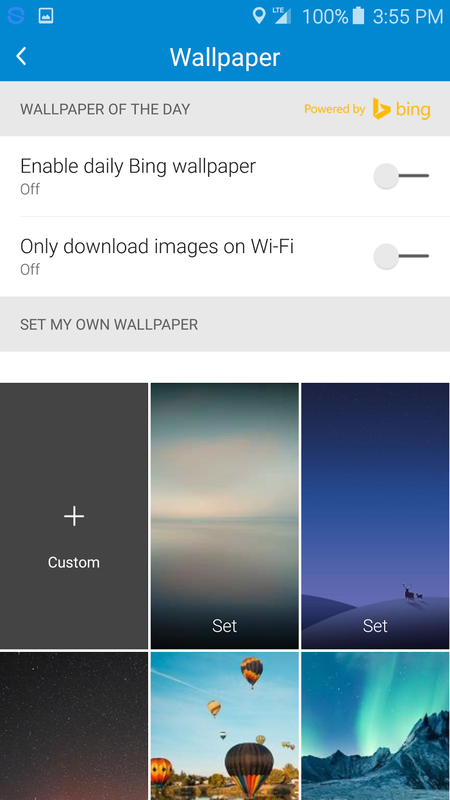 Arrow Launcher’s Wallpaper menu allows you to change the wallpaper using presets, custom images from your gallery, or Bing’s daily wallpapers. The Notes and Reminders page in Arrow Launcher gives quick access to a checkboxed form to list tasks and items. The starring system allows prioritization of the most urgent notes. As you can see, Arrow Launcher’s Settings menu is a little bare, but does allow for a few changes, such as the default SMS app and icon pack.